In 2011, Louisiana Public Broadcasting premiered its internationally acclaimed film documentary, “Turning the Tide." The purpose of this curriculum is to encourage students to ask questions and to explore how choices being made today will affect their future. “Turning the Tide” and this companion educational guide encourage students to think about what is at stake in terms of crucial wetland ecosystems, Gulf seafood populations, North American migratory bird and waterfowl populations, the nation’s energy infrastructure and national security, interior navigation and water transport for American produce and goods, and a totally unique American culture. Many thanks to all of our partners! This compendium or collection of wetlands resources was created by Dr. Pam Blanchard with LSU and Louisiana Coastal Roots. 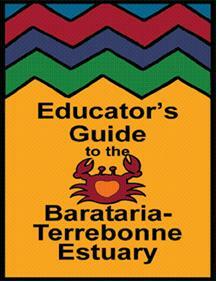 It is designed to offer educators a guide to the best available resources to enhance and support their educational activities related to the preservation and restoration of Louisiana’s coastal habitats and land. The goal of the compendium is to increase the environmental literacy of teachers and our young citizens and to inspire them to become active stewards of our coastal habitats. This CWPPRA Oral History Educational Resource companion guide is a selection of compiled materials that has a central motif: teaching the effects of oral history, art, and environmental science inside the classroom or informal education setting. The materials in this packet are for both teachers and students who are interested in using oral history and art as a productive tool in helping to raise awareness and support about ecological issues in the environment around us. The CWPPRA “I Remember” Oral History project combines the importance of oral history, art, and conservationism within the southern region of Louisiana. Additionally, this curriculum project has incorporated elements of art including: environmental portrait photography that accompanies the oral histories, wetland nature photography, and paintings that tell stories. We all have stories to tell about our lives. Use this curriculum to help your students tell their stories through oral histories and art. Use CWPPRA real time, field collected data to access graphs and information related to Louisiana wetlands. Use the CWPPRA Beginner's Guide to understand and help make lesson plans for the Coastwide Reference Monitoring System. Use this K-12 guide to teach about a host of wetland issues using primarily math and science concepts. Use this curriculum to inform students about migratory birds and the environmental issues that affect these animals. Use these language arts lessons to teach students about Louisiana wetlands. Designed for middle and high school. Lesson plans are designed to help teachers grow out wetland plants for restoration efforts. These lessons help middle school and high school students study paddle fish and other native Louisiana wetland fishes. The Conservation Education Strategy Tool Kit contains resources developed by the Association of Fish and Wildlife Agencies (AFWA) to support conservation educators who offer fish and wildlife based programs. It includes resources developed as part of AFWA’s Conservation Education Strategy. Use this curriculum to inform students about the Functions and Values that the wetlands provide Louisiana.